Rev. Janet M. Reynolds is a Certified Spirit Medium and ordained minister with a private practice in Tampa, Florida. She specializes in practical channeled guidance from the spirit world, through private intuitive consultations and group séance gatherings. 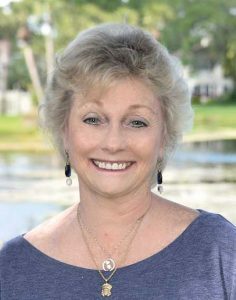 She is a graduate of the mediumship certification program of the College of Metaphysical Studies in Clearwater Florida, and has also studied at The Metaphysical Academy in Tampa and the Arthur Finlay College of Psychic and Mediumship in England. Janet was ordained as a minister through Harmony Church in Tampa and currently serves at People’s Spiritualist Church in St. Petersburg, Florida. Certified in clinical hypnotherapy by the American Institute of Hypnotherapy, Janet obtained advanced instruction in hypnosis and past life regression at the Edgar Cayce Foundation of Virginia Beach, VA. She has studied medical intuition with Caroline Myss and Dr. Norman Shealy and is a certified Reiki Master. Janet Reynolds has owned a successful data processing business since the age of thirty. She understands the business world as well as the spiritual world. Her intuitive readings and trance channeling sessions are a reflection of her ability to span both worlds. Her specialty is bringing guidance from the perspective of spirit n the world of form and function… wisdom with practical directions for using it. Her work is valued for the concreteness of the information offered and her ability to put esoteric knowledge into ideas everyone can use. Listen in to “A Moment in the Woods podcast” where Magda Santos interviews me.